Once again, the Netherlands administrative and judicial authorities have handed down eight legal rulings, with decisions against the complaints made by the activist organisation Free Morgan Foundation (FMF). On this last occasion, the Ultrecht Court ruled that the CITES decision (Convention on International Trade in Endangered Species of Wild Fauna and Flora) granted to Morgan by the Dutch authorities was in accordance with the law and was granted in accordance with both European Community and CITES regulations. Likewise, the aforementioned rulings, once again, and as all the judicial and administrative authorities have repeatedly stated, highlights anew that Loro Parque has the highest quality facilities, offering the animals in them excellent welfare conditions, including both the orca Morgan and the rest of the pod of orcas in our Parque. For Loro Parque, it is very important that both the judicial and administrative bodies with competence in this area recognise and highlight the excellent conditions of our Parque, because these affirmations come from bodies and authorities that are absolutely impartial and independent, and this, despite the continuous and denigrating campaigns of these radical groups that constantly strive to defame and discredit us with their lies and falsehoods, distorting the truth, and showing clear contempt for the courts when they do not decide in their favour. During this process, Loro Parque has made itself available to the CITES authority to provide all the information necessary. Now, in addition to reaffirming the Parque’s position, the ruling acknowledges that Morgan’s CITES permit does not exclude breeding and recognises that scientific and conservation activities are carried out with the killer whales in Loro Parque. In the event that FMF decides to initiate a case in Spain, because they believe that Morgan is in poor form, it would be necessary to provide evidence. However, all previous reports and campaigns have demonstrated that the orcas in Loro Parque are in good condition, have one of the most modern facilities in the world, are cared for by qualified and experienced staff, and receive the most appropriate care for their species. The orca Morgan has been in the care of Loro Parque since 2011. The decision to transfer her to OrcaOcean’s spacious and fully-equipped facilities in Loro Parque was taken in order to provide her with adequate living conditions and, in particular, to meet her needs for social interaction. It should be borne in mind that this decision was taken at that time by the Dutch authorities (based on the opinions of independent experts) because Morgan’s return to nature was an unviable option and the only other option for this animal was euthanasia. Loro Parque is supported by all the relevant administrative bodies (CITES in the Netherlands and Spain, the Spanish Zoos Inspectorate and the Spanish animal welfare authorities), which reject FMF’s demands and interpretations of the CITES permit. Therefore, FMF is the only entity that supports the position of releasing the animal. For the past six years, Morgan has been living in Loro Parque under the care of a team of veterinary professionals and caregivers; her overall condition is excellent. She has gained more than 1,100 kg since her arrival at the Parque and her size is now comparable to that of other females her age. Although she was diagnosed as almost or completely deaf by an independent group of researchers, her caregivers have been able to establish a complete communication system using a network of lights – a pioneering and unique method worldwide, that has been developed for an orca with a disability. Thanks to the dedicated attention of her caregivers and this adapted system, she is able to join the group in all its activities despite her condition. Morgan is completely integrated in the group and has established social relationships with all the orcas at Loro Parque. As these rulings reaffirm, there is no restriction on Morgan’s ability to reproduce; as was declared in a letter from the Spanish CITES authority addressed a year ago to the Free Morgan Foundation. Morgan’s pregnancy is completely normal and is closely monitored by the team of veterinarians and carers in collaboration with independent consultants with extensive experience in cetaceans. Loro Parque is an accredited zoological facility as defined by the European Zoos Directive, strictly following all applicable laws and regulations regarding this practice. Loro Parque is inspected annually by the competent authorities. Loro Parque also applies the highest standards in orca management, as accredited by the European Association of Zoos and Aquariums and the European Association of Aquatic Mammals, as well as by independent organizations such as American Humane, ABTA, Biosphere Parks, etc. In 2017, Loro Parque was awarded the title of Best Zoo in the World by the TripAdvisor Travellers’ Choice Awards. Orca Morgan, the oblivious martyr? The orca or killer whale Orcas or killer whales (Orcinus orca) are the largest species of the dolphin family. Unmistakable in size and appearance, the orca is a public favorite among many people. It is a large but agile species of marine mammal with a unique black and white pattern. Located above the eye is a characteristic white marking called “the eyepatch” that is often mistaken by people for the eye of the animal. Scientists believe that this is actually the purpose of the eyepatch in nature as well where any predator or rival will mistake it for the eye and therefore the actual eye is protected from harm. In males the dorsal and pectoral fins are of an incredibly large size with some males growing a dorsal fin which is over 2 meters in length! Orcas are ruthless hunters with the largest variety in diet of all marine mammals and a position in the top of the food chain which they achieve by coordinated hunting in groups. Orcas are one of the most widely spread animals in the world. They have been recorded in every ocean and sea except for the Baltic Sea and the Black Sea. They inhabit waters of different temperatures and climates with each their own ecosystem and therefore different types of prey. On different parts of the world among different populations there are certain things like diet, hunting techniques and even different dialects that are only known for that specific population. These also seem to be passed on from generation to generation. Some people have even gone so far in calling this a form of culture. It is well-known that orcas are very intelligent beings with a very advanced social structure and hierarchy. Orcas are relatively new in captivity compared to other more common zoo animals (such as elephants, tigers and bears) which we have been keeping and displaying for centuries. The first captive orcas appeared in the late 60’s. Little was known about the orca back then and it was actually thought they were very aggressive animals as well as harmful to humans. Thanks to the early captive specimens it was discovered they are actually intelligent socials animals that are not particularly aggressive. Their intelligence also made them able to be trained and orcas soon became a popular attraction in many early marineparks, zoos and dolphinaria. Ever since the 80’s there have been successful breeding results making the keeping of orcas sustainable throughout the years. Around 167 orcas have been previously kept in captivity in the last 50 years with 60 individuals being kept worldwide today. This is however a very small number compared to for example elephants of which their captive number are estimated between 15.000 and 20.000 in captivity. Although popular in captivity with one of the leading zoos in the USA being the “Seaworld” parks who are known for their orcas and orca shows, the keeping of captive orcas has not been without controversy. Already in the early beginning there have been people opposed to keeping these large marine mammals in an artificial environment. Especially since the last decade people have expressed criticism upon parks who keep orcas and have questioned the wellbeing of the animals. Two sides seem to have developed over time. One who support the keeping of orca’s and or other dolphins in captivity and a side who heavily opposes this. This controversy peaked in 2010 when orca trainer Dawn Brancheau was killed in an incident between her and a male orca named Tilikum at Seaworld Orlando. In that same year an orca named Morgan was also causing an uproar in the country of the Netherlands. We will elaborate on her story a bit more in this report. Morgan is a female killer whale or orca (Orcinus orca) that currently resides at Loro Parque, Tenerife located at the Canary Islands. She was rescued by “Dolfinarium Harderwijk’, a Dutch Marine park on June 23 2010 after being found alone and extremely malnourished in the waters of the Wadden Sea. About a week before her rescue the first reports came in of “a large cetacean” spotted in the waters around Lauwersoog in the Netherlands. Sightings of orcas in Dutch waters are not unheard of but quite a rare occasion as opposed to the more native species of marine mammal found in that specific area. Not long after that the first footage of Morgan appeared, recorded by a boat of the Dutch state. Finally she was confirmed to be an orca and the Dolfinarium in Harderwijk was contacted to set up a rescue plan for the animal as they had the experience and facilities suited for such an operation. She was completely emaciated weighing just 430 kg while measuring 3,57 meters in length when she came to Dolfinarium Harderwijk. (a normal healthy weight for an orca of that length lays at a minimum of around 660 kg according to the vet at that time!) Her age was estimated to be around 2 or 3 years old. Body fat was almost completely absent and she suffered from pneumonia. It was clear this animal was on the verge of death and many experts believed she would not make it through her first week. The protocol for rescued marine mammals is to attend to their health problems, then to start the rehabilitation process and the ultimate goal is to release the animal back into it’s natural habitat. This however is not always possible. This can have a number of reasons, for example: persistent health problems, disability of the animal or lack of experience to survive in the wild due to young age. In Morgan’s case it was decided by independent experts that she could impossibly survive on her own in the wild as orcas live in complicated social structures and especially for young animals this is essential for their survival. Integrating her into a random group of wild orcas was deemed too high of a risk and an also unrealistic procedure. Efforts were made to locate the exact population she was from. Some of the methods used were taking DNA samples, sound samples and pictures of her dorsal fin to match these with the existing database of studied populations. Sadly all efforts failed. The next step was to find a new permanent facility for her where she could live among others of her species. The intention to keep her in captivity caused a lot of controversy around the world and is currently still a very sensitive topic to many. 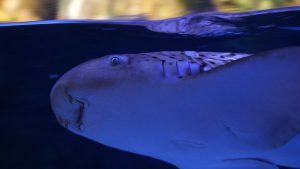 Several animal rights groups stood up and questioned the marine park’s intention, “The Free Morgan Foundation” being one of the main groups playing a part in this. Soon after she was deemed non-releasable, Loro Parque was chosen as her new location. This is when the protests began to rise to a bigger extend. Animal activists stood outside the park with banners and megaphone and handed out flyers to park visitors. Even threats were made to the park and its employees as they were accused of being animal abusers and murderers. Despite this they gained a lot of followers and eventually even took to court. The outcome of this (and several other court cases filed after that) was again that Morgan would not be able to survive in the wild. The move to Loro Parque took place on November 29, 2011. It was a very smooth integration; As of January 19 2012 she had contact with the entire group and socialized with all animals To this day Morgan resides at Loro Parque, where she participates in research as well as shows and education. The Free Morgan Foundation continues their efforts to get Morgan away from Loro Parque’s care and eventually released into the wild. Already before she came to Loro Parque her caretakers suspected Morgan might have had hearing problems as she was unresponsive to sounds. Several different occasions of hearing tests and acoustic research have been done since she arrived in Loro Parque which confirmed Morgan is actually deaf. This turned out to be an even bigger argument that she would be unable to survive in the wild as well as a possible reason why she might have lost her original pod in the first place. Ever since her hearing impairment was discovered different training methods were implemented for Morgan using lights rather than sounds. The other orcas have actually learned to respond to these as well. Loro Parque is a zoological facility located at Puerto de la Cruz in Tenerife, at the Canary Islands. Loro Parque was founded in 1972 by Wolfgang Kiessling who remains to this day as the acting president of the park. The park was originally intended to be a refuge for parrots, but today it is a world reference for endangered species and environmental awareness. Loro Parque is one of the leading zoos when it comes so conservation and nature protection. 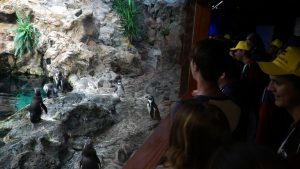 Located at the park is the “Animal Embassy” the headquarters of the “Loro Parque Fundación” which is a foundation of which Loro Parque itself covers all the operating costs. In 2017 Loro Parque became the first European facility to receive the “humane certificate” given out by the American Humane Association. This is the world’s largest certifier for the humane treatment of animals. The park has been housing orcas since 2006, when four animals (two males and two females) arrived from two of the three Seaworld parks in the United States of America. The orcas are housed at a facility named “Orca Ocean” which is 120 meters long, 12,5 meters deep and houses 22 million liters of sea water which is obtained directly from the Atlantic Ocean. Currently six orcas live at this enclosure. Among them are the original four animals named Keto, Kohana, Skyla and Tekoa. There is Adán, a calf born to Kohana and Keto in 2010 and the first baby orca in Spain. The final animal being Morgan who joined to group in 2011. The Loro Parque Fundación is a non-governmental organization founded in 1994 by Wolfgang Kiessling. It operates on an international level on conservation and the protection of wildlife. 100% of the donations that the foundation receives goes to the protection and conservation of wildlife and natural habitats. Over the years they have carried out 109 initiatives in over 30 countries with an investment of over 18 million dollars. Parrots and cetaceans are the main subjects of the foundation. Including several projects on the research, conservation and protection of wild orcas. Examples of these projects are the conservation of orcas in the Straits of Gibraltar by reducing orca-fisherman conflicts, analysis of the call sequence of orcas, toxicity in wild killer whales and the effect of contaminant cocktails on orcas and other marine mammals as well as the first non-invasive tagging method for cetaceans. In all these examples the resident orcas at Loro Parque play a very important role, making these research studies and conservation efforts possible. Thanks to the efforts of the Loro Parque Fundación 9 species of parrots were actually saved from extinction in the last few decades. With some species growing from only 22or 87 remaining animals in the wild to several thousand individuals. 1. Care for the animals with absolute love and respect to guarantee their welfare and dignity. 2. Allowing the animals under our care the five freedoms (Animal Welfare Council 1979) which are freedom from hunger and thirst, freedom discomfort, freedom from pain, injury and disease, freedom from fear and distress and freedom to express normal natural behaviors (which includes reproduction). 3. All animals residing at Loro Parque are considered ambassadors for the conservation of their own kind within their natural habitats. 4. Loro Parque supports activities to research and conserve threatened species under human care and in natural ecosystems. 5. Loro Parque considers itself a sanctuary for wild animals that are in need of help. On December 3, 2017 it was confirmed to the public that Morgan is pregnant. Dr. Jorge Soares, veterinary director of Loro Parque confirmed this with a statement. This again sparked up a lot of controversy from all kinds of parties, especially animal rights groups and animal activists. Through the years these have reported numerous times that Morgan has health problems, is attacked and harassed by the other orcas and is even being mistreated. Loro Parque however has reacted on these statements as being false. Apart from Loro Parque’s medical team several independent vets and researchers have been examining Morgan during the time she has been in Loro Parque to back up this statement. One of which is Andrew G. Greenwood who released an official health assessment online in 2013 stating Morgan was in excellent health. In the last six years I have been to Loro Parque myself numerous times to witness the status and treatment of Morgan, both behind the scenes as well as a normal visitor. I have yet to conclude any of the accusations mentioned above. In light of the latest claims on Morgan’s wellbeing, her pregnancy and with yet another court case filed by animal extremists, I decided to come and visit her again together within a small team of two. The goal; witness and record what we would see upon visiting Morgan again as well as to talk with several of the experts at Loro Parque to clarify uncertainties among the public. The following report and interview is the result of this visit. How old is Morgan currently and how was this confirmed? Dr Almunia: “It is impossible to know her exact age seeing as she was already several years old when she was found. Because of this it will always be an estimate. We have however compared several statistics of the growth rates in orcas both in the wild and in Loro Parque to come with an estimate of around 10 or 11 years as her current age. When she was rescued she was estimated to be 2 or 3 years old. At that time she was however heavily malnourished and probably much smaller than she was supposed to be. a more accurate age at the time of her rescue would be between 3 or 4 years”. For how long has Morgan been pregnant? “We discovered her pregnancy in November 2017 and it was estimated that she was around 5 months pregnant at that time. We expect her to give birth near the end of 2018”. How did Morgan become pregnant? “It was a natural mating. We do not practice artificial insemination at Loro Parque. The father is at this time unknown as it was a spontaneous act when the animals were socializing and it happened outside of our observations”. How did you find out Morgan was pregnant? Do you not check for hormone levels in the female orcas? “We do not include hormone checks as a medical routine as breeding is not our focus. We do observe the cycle of the females so we can separate them from the males in their fertile period. This way we do not have to distribute birth control medication to them, which can possibly be harmful on a long term. Yet they are able to display their natural behavior”. “No, absolutely not. We did want to give Morgan the chance to be a mother in the future, as this is an important part of the animals natural behavior. However we had the intention on waiting a couple more years before expanding our group of orcas”. Is it true that you were actually not allowed to breed her and agreed to that when receiving Morgan? “It is absolutely not true that there are any limitations to breeding Morgan. This is a lie spread by animal right groups to make their argument stronger. 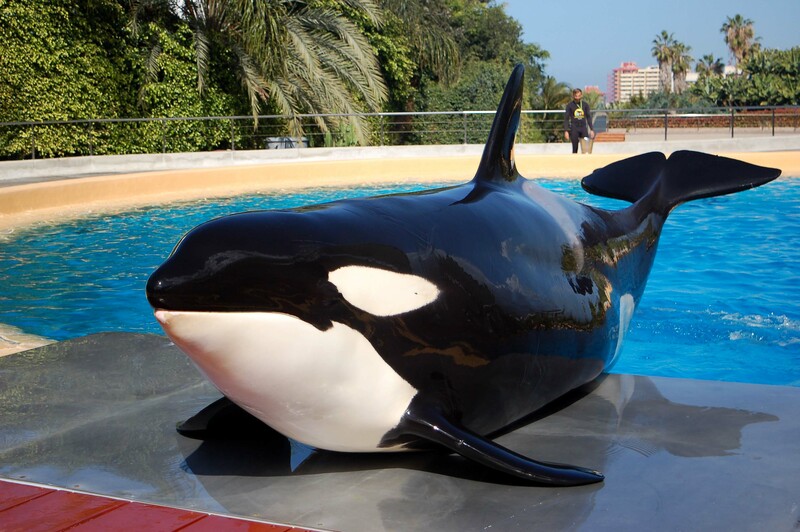 The Free Morgan Foundation actually received a clarification from the Spanish government that there are no limitations for Loro Parque in the housing and keeping of Morgan, yet they continue to spread this lie. We have the documents to prove this and are happy to hand this out to anyone interested”. Is there enough space for another orca? “There is more than enough space for Morgan to have a baby and for this calf to grow up. We are far from reaching the limit of space available for our animals”. Are the rumors of a possible expansion true? “There was a realistic plan to expand the pool system of the orca habitat. This was planned to happen in a few years. However with the current pregnancy this was put on-hold. Construction close to a pregnant animal and growing calf could be stressful and we want to avoid that”. Can Morgan’s deafness play a role as a possible complication? “We really do not know if Morgan’s deafness is something she had since birth and if it can be genetically transmissible. It is possible, but there several other possibilities such as trauma, sonar or even a pathogenic cause like a bacterial infection that caused her hearing impairment. So it is impossible to know at this point if the calf will display something similar”. Could her deafness restrict the caretaking of the calf? “It might happen that the calf has difficulties in understanding and interpretation of the dialect because Morgan also doesn’t. Unless the other orcas will have a role in this. This however will have a huge value research-wise. There are already scientists who showed interest in the development of the calves learning curve for the dialect. It will be very interesting to see if the dialect is taught mainly by the mother of an individual or by the entire pod”. What are the risks that this pregnancy brings? “As a first time mother there might be a possibility Morgan will not know how to handle the calf. If this is the case we have a professional team with a lot of knowledge and experience in hand rearing orca calves. Two of our calves born here were unfortunately rejected by their mother, so we needed to step in and manage the caretaking of the calves ourselves. Both of these times it was successful. One of the calves named Adán is still living here today, the other calf was named Vicky who unfortunately passed away due to intestinal problems. These were however not related to birth complications or the hand rearing process. So we consider both occasions very successful. Births in orcas and marine mammals in general are always high-risk. Even in the wild 52% of the calves will not reach their first year. This is however a rough estimate as it is hard to tell in the wild when an orca is pregnant and if the pregnancy failed or not. The main cause is because of the low immune system calves display when they are newborn. We will do everything in our power to assist Morgan and guarantee the calves survival”. We were allowed to visit the orca habitat behind the scenes during the morning and afternoon to witness the routine of the trainers and orcas, one of which being medical training sessions. During the routines we witnessed many occurrences of social behavior between Morgan and the other orcas. She was grouped with different animals through the day. The orcas participated in training, medical training, shows and also had periods where they got their “free time” and were able to do swim freely and choose freely which behaviors to display and which animals to socialize with. Even during this free time Morgan never appeared to be swimming alone. She seemed to prefer the company of Adán, the youngest orca of the group the most. Morgan appeared very active both in general behavior as socially, yet her behavior was in a calm matter. Whenever a trainer appeared she seemed very interested and alert. During the course of the day we observed various medical routines practiced by the trainers and veterinarian staff. Among these were taking a urine sample as well as a blood sample from Morgan. We also witnessed the attendance of Morgan’s oral health during which her teeth were disinfected. Both wild and captive orcas show tooth wear because of interactions with other orcas and their surroundings. This is monitored closely and treatment is given when necessary. Morgan stayed very calm during all these procedures and did not show any sign of stress or pain. She was rewarded afterwards. The most important training regarding the care of animals is the medical training. These are a number of medical routines that are practiced regularly creating the possibility to monitor an animal’s health voluntarily. Even voluntary treatment is possible thanks to this training. An example of the medical procedures of the orcas at Loro Parque are taking blood samples, urine samples, a sample of the exhalation of the blowhole, ultrasounds, measuring the animals, weighing the animals and a check-up of the physical health of the animal (eyes, teeth etc,). By practicing these routines regularly the orcas get used to these procedures which makes it more efficient to monitor and maintain the animals health. Medical training is used by many zoological facilities on a lot of different species. The medical training used on dolphins and orcas however is very advanced and one of the most stress-free methods existing today. The orcas work in direct contact with their caretakers and they do not have to be sedated or restrained for physical check-ups, minor treatments, blood sampling or even transportation. As the animal is rewarded via the positive reinforcement method is it unlikely to link negative experiences or emotions to these routines. During these training sessions it became very clear that Morgan was used to these medical routines as she seemed to understand what was asked from her. She appeared very calm and waited for the signals of the trainers as she displayed the asked behaviors. We were able to see her entire body numerous times as it is still safe for her to come completely out of the water to be weighed. Her skin appeared smooth with some superficial scratches. No wounds, deep scars or fresh rakemarks were visible. Her weight on the scale was between 2200 to 2300 kilograms with 2324 kg being the highest recorded weight at the time of our visit. The training process of the orcas and dolphins at Loro Parque is in every way reached with the “Positive Reinforcement” method. Most people may already be familiar with it as the most well-known variation of this method is the so called “clicker training”, which is very popular in pets. The basic principle of this method is to reward the animal for a desirable behavior. When the animal displays an undesirable behavior it is ignored instead of correcting it or giving it punishment. Then the behavior is asked again. The main purpose of this training method is to have the animal displaying desired behaviors without experiencing negativity such as stress, fear or aggression. The method is very successful as the animal only experiences positive or neutral stimuli. Therefore it is used on hundreds of species today of which mammals, birds, reptiles, fish and even insects! The key to marine mammal training is to use a signal that clarifies to the animal they are displaying the desired behavior and that a reward is following. This signal is used in the form of a high frequency whistle. The reward is mainly food as this is instinctively a highly positive stimulus for animals, but this certainly not always the case. The orcas at Loro Parque are also rewarded with things such as a toy, gelatin, ice cubes, water sprays or the enthusiasm of their trainer, (similar to for example dog training). During our stay we also observed Morgan being rewarded with this so called “Secondary Reinforcement” rewards. We returned at a random day as normal park guests to find out if there was anything different from our observations during the first visit. We didn’t conclude any. The period before, during and after the shows the back-pools are visible for the public. Several medical training sessions and free-time sessions could be observed at the from the audience grandstand. Morgan was not even used in every show, as many activists claim. In fact she only had segments in one of the four shows that day and mostly swam freely in the back-pools during others. Above: Morgan receiving a secondary reinforcement reward. Overall Morgan seemed like a normal, healthy orca that did not display any abnormal or atypical behavior just like in previous visits. We have witnessed her socializing with both the other orcas and her trainers. We were happy to conclude that the current accusations made by several animal right groups are once again wrong. 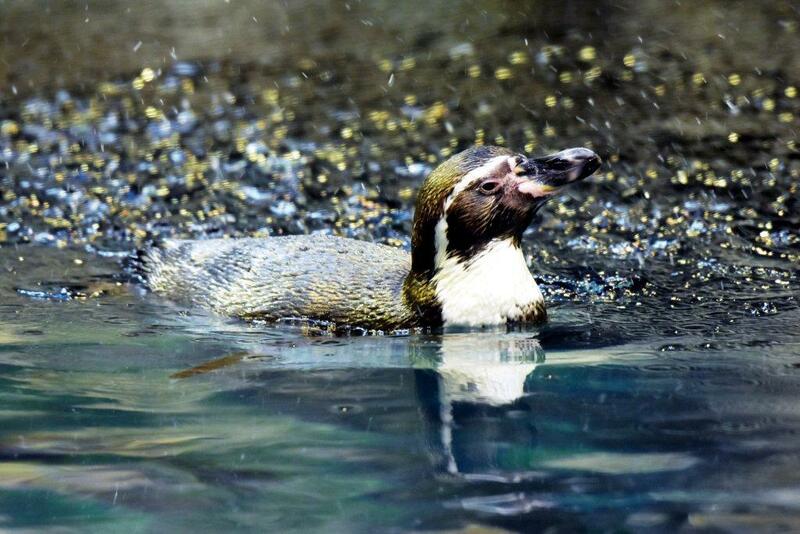 Loro Parque celebrates today, April 25th, the World Penguin Day. The purpose of this activity is to raise the awareness about the worrying situation of these animals in nature. During the entire week, starting Monday and until next weekend, the park will be realizing educational and awareness activities, both in its facilities and through its social media channels. Today is a date of special relevance, not only because it coincides with the migration of the Adelie penguins from Antarctica to the north, but also because according to the International Union for the Conservation of Nature (IUCN), out of 18 species of penguins in existence, 10 are considered endangered to one degree or another. The threats that these charismatic animals are facing in the wild are quite diverse: decreased fish availability due to overfishing, climatic changes, seawater pollution or unsustainable tourism practices. All of these dangers are causing drastic diminishment of the penguin populations. The Loro Par que’s exposition PlanetPenguin is home to five species of penguins: Humboldt, Papua penguin, King penguin, Northern Rockhopper and Chinstrap penguin. All of them are realizing, thereby, an important role of ambassadors of their counterparts in nature through raising awareness among the public about the harsh conditions that the animals must face in the wild. Moreover, this year Loro Parque has decided to join the campaign of Sphenisco, an organization that advocates for the “Humboldt Penguins Protection” and that dedicates its efforts to drawing attention to the situation of this species in Peru and northern Chile, where its populations are becoming increasingly threatened. The Humboldt exhibition at Loro Parque recreates to every detail the rocky habitat of these animals and contributes, therefore, to educational activities aimed at giving the public an opportunity to learn more about the characteristics of the animals and the threats for their survival in their natural habitats. 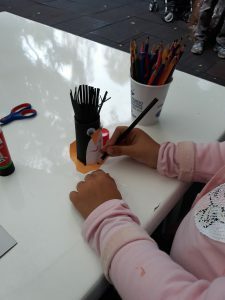 Such awareness activities, in their turn, contribute to the penguin conservation. Presently, despite the fact that the number of penguin species that remain at risk is quite alarming, the experts maintain a positive prognosis for the future thanks to the continuous and growing efforts of the conservationists and enhancement of the protected marine territories that will help preserve the endangered populations. The role of wildlife conservation centers, such as Loro Parque, and organizations, such as Sphenisco, is fundamental in making this necessary change a reality. In light of the recent celebration of the Earth Day, Loro Parque, recognized by TripAdvisor as the Best Zoo in the World in 2017, announces the implementation of a new strategy, which intends to remove all single-use plastics from its facilities. 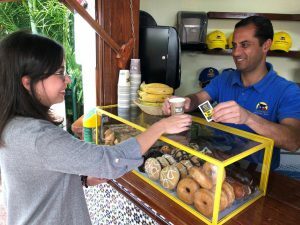 The process has already started, as alternative, compostable and biodegradable materials are gradually replacing the disposable plastics. It is well known that the human population has been increasing exponentially in the recent decades, and many scientists are now stressing the importance of raising social awareness about the fact that we have entered into the era of the sixth extinction of our planet. Only in the last 100 years, the population has increased from 2,000 million to 7,600 million people. With that, the stress on the planet has also escalated significantly, due to ever-growing exploitation of the natural recourses and spaces, and other adverse human activities. Thus, in the same time period, the population of elephants has dropped from 10 million to less than 450,000 individuals, and the data referring to the situation of the biodiversity in the oceans is even more alarming, as a result of the overfishing and pollution, this latter primarily due to the uncontrolled use of plastics. It is estimated that every year the oceans accumulate between 8 and 13 million tons of plastics, which is 800 times the weight of the Eiffel Tower or 34 times the surface of Manhattan. Analysing such a tendency, scientists believe that by 2050, there will be more plastic in the seas than fish. 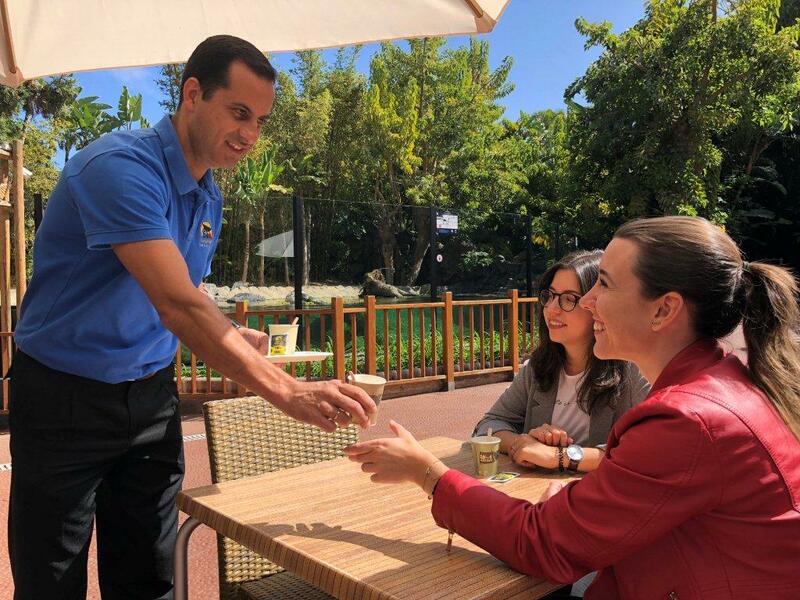 Loro Parque, recognizing the importance of minimizing the use of plastic in order to contribute to conservation of biodiversity, has decided to take further measures in this direction. In the initial phase of this strategy, at least 80% of disposable plastics used in its facilities will be removed. Additionally, in the process of the strategy implementation, the park will continue to raise awareness among the public about the existing problems and about what each one can do to help with the situation. Loro Parque, together with Loro Parque Fundación, express their concern regarding the future of the planet, as the pressure on the natural resources will continue to grow. In the year 2050, 85% of the population in going to live in the cities, and life expectancy will reach 90 years. The zoological garden raises a question, how could the planet deal with all these difficulties if the man does not start acting in the interests of the Earth? Marine mammals are among the planet’s most popular animals, capturing the public’s imagination and affection. This is most readily evidenced at zoological parks where dolphins, killer whales, and other marine mammals inspire, educate, and motivate visitors to care about the natural environment and the animals that inhabit it (Miller et al., 2013). Positive experience with animals crosses generational, economic, and cultural divides: zoological parks provide a safe and accessible place for people to experience and appreciate these intelligent and athletic animals up close. But beyond the visitor’s experience and out of the public eye, the keeping of marine mammals in human care also complements and advances in situ species protection. In fact, the legal obligation to engage in ex situ conservation under the Convention on Biological Diversity (1993) is met in large part through the work of public and private zoological parks and aquariums and related research. The importance of marine mammals in human care for conservation research also is well recognized. According to scientists, “critical research findings have come from studies of dolphins and related species in managed care environments, which have provided the vast majority of what is known about their perception, physiology, and cognition… The benefits of such research extend well beyond the animals in zoological facilities.” As the scientists further note, “The advances that have come from research in marine mammal facilities could not have come from studies of animals in the wild” (Scientific Statement, 2016). While the value of marine mammals in human care for public education, scientific research, and species conservation is clear, the question arises as to how we ensure that the welfare needs of these animals are met. 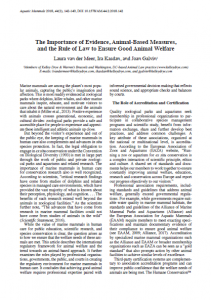 This article describes the international regulatory framework for animal welfare and the trend towards an animal-based approach. It further examines the roles played by professional organisations, governments, the public, and courts in creating the regulatory environment for marine mammals in human care. It concludes that achieving good animal welfare requires professional expertise paired with informed governmental decision making that reflects sound science, and appropriate checks and balances by courts. Tony Greenwoods career began some 30 years ago in Auckland, New Zealand. He has a brought experience in International business, Tourism, zoological and philanthropic projects from rebuilding villages in Vanuatu to self sustaining projects throughout Asia, Africa and South Africa. Tony Greenwoods started his first business, Melbourne’ first Pet Warehouse, specializing in selling of Australian and Exotic birds. He started to supply zoos and professional breeders around the world and to be heavily involved in bio security, animal husbandry and parasite management. He has owned as well helped to build and operate Wildlife Parks and zoos in Africa, Australia, and South East Asia. His most recent project was Zoological Director of Riyadh Zoo in Saudi Arabia, where he has been instrumental in rebuilding the zoo to international standards. Tony Greenwood will start his new position as Zoological Director of Loro Parque on April 2, 2018. Udra is the name of the female zebra shark that became the first specimen of this species born in an aquarium in Spain. The team of the Loro Parque’s aquarium, whose efforts have enabled this breeding success, is very proud to confirm that the animal has completed the required quarantine period, during which it was receiving all the necessary care and attention. Now it is enjoying its new, spacious home in the mangrove of Aqua Viva. It also means that the guests of the park have a unique opportunity of seeing it, for the first time, in this exhibition of the park, which was recognized by Trip Advisor in 2017 as the best zoo in the world. Since its birth, Udra has been participating in unique shark training program developed by the experts of the Loro Parque’s aquarium. Thanks to this training, such important procedure as voluntarily blood extraction was made possible. Moreover, through this training it has become accustomed to regular voluntary veterinary check-ups, which not only allow the aquarium team to ensure its maximum well-being, but also provide researchers and scientists with valuable information about this species. From now on, the visitors of the park will be able to observe the training sessions with Udra. Breeding and reproduction work carried out at Loro Parque is essential to provide scientists with the vital and much needed information about the conservation of not only of this particular species but also of other, much more threatened species. Thus, Loro Parque Foundation, with the support of its primary sponsor, Loro Parque, among many others, has been successfully conducting marine wildlife conservation and protection projects. Among them, are the projects with such species as the angelfish (Squatima squatima), considered to be the most endangered shark in the world, and the hammerhead shark (Sphyrna sp. 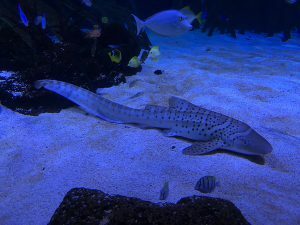 ), a species that finds itself under a lot of pressure primarily due to aggressive fishing techniques and other adverse conditions.